"Yea. He was on The Ellen Show and Ellen told him she had no idea that he was a Broadway actor. He said that's a common mistake that people used to make about Jerry Orbach. 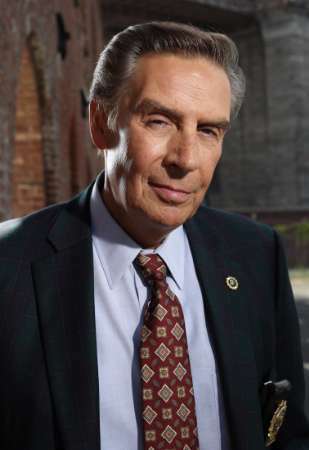 Did you know that Jerry Orbach was a big Broadway actor when he was younger? As a matter of fact, he originated the role of "Billy Flynn" in Chicago. That's the part Richard Gere played in the movie." "You know who Jerry Orbach is, don't you?" I asked. "Sure," she replied, "He put baby in a corner." the really sad thing is it will be interesting to see how many people know which stupid movie you are talking about since you didn't name it...but that was probably your intent...i know the movie b ut then again i am the father of alicia. Thanks for the post. I didn't know you ever read The Boo-Log. I think that most women will know the movie... it's a cult classic. Well, actually, not so much a "cult" classic.... it was fairly successful when it was released. At first I was too ashamed to say so, but Alicia's dad gave me the courage. I don't know what movie you're talking about. Please reveal the title. I want to know. Really. I know the movie... but I guess I'm a lousy "chick" -- I never saw "Dirty Dancing"!